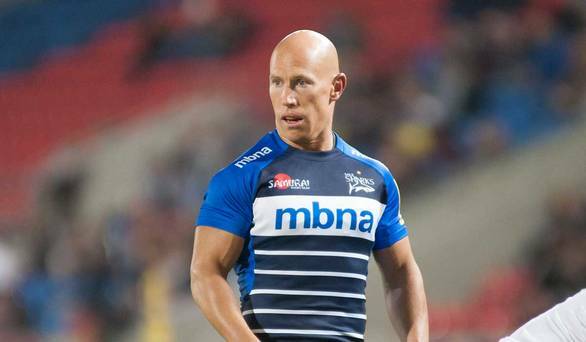 Peter Stringer started Sales Shark’s Champions Cup game tonight with Toulon, mere hours after attending the funeral of his close friend Anthony Foley. Both Sale and their opponents Toulon paid tribute to Foley with a minute’s silence at the AJ Bell Stadium before the encounter. Sale Director of Rugby Steve Diamond said there was never a question that Stringer would miss either the funeral or the game. Stringer believes Foley would have wanted him to play tonight, with Diamond revealing that new Sale owner, Ged Mason flew the Irish scrumhalf over and back on a special private plane. “Ged Mason, the new owner, put on a private plane and we whipped him in and out.